Q: Can I pay with a credit card, not PayPal? A: Yes. Just add your items to CART. We accept MC,VISA and PayPal. To complete transaction PRESS "PURCHASE". Q: Why are you not doing phone orders anymore?? A: We came to that because of two things. 1. Recent card purchase fraud online and Phone orders. Online we have tightened our security procedures. quantity, etc resulting in costs and customer service issues. The new procedures provide order verification and online payment security. Q: Why do you only ship Credit Cards Billing address? A: We are direct to end user retailer so we ship only to cardholders address. Doing this protects the card owner and us from fraudulent purchases. So we ONLY ship to the Buyers physical Billing address or one verified by PayPal. Otherwise, we will cancel the order. Q; I made a purchased on your site but after I did it was voided? A; When processing payments there will first be an Authorization, where the account or credit card used is simply hit to ensure the funds are available. Then that Authorization is Captured which is when the funds actually moved from one account to another. The site ran an authorization on your account, but then the checkout failed prior to finalizing the capture portion of the process. This would leave this pending authorization on your account, and it might even look like it took the money, but in reality, an authorization that has not been captured will be released back to you after the short period of time. Your card wasn't charged prior to this cancellation. Your card issuers may have placed an authorization hold that may temporarily reduce the available balance in your account. Any hold placed on your account will be removed according to your card issuer's policy. Please contact your financial institution for more information. Q: Can I return to the address on my packing invoice? Returns to the Sales Office will be returned to the customer. Q: Is the $6.95 flat rate shipping on all orders? A: No, only the lower 48 states. Alaska, Hawaii etc. and Canada would be more. Q: I placed an order. How soon will it ship? A: It will ship today or the next Business day depending on when the order is received. We do tag orders for shipment on weekends but will not ship until Monday. Q: Are your prices in US Dollars. Q: Are you located in Canada? Q: Can I send you a jet as a sample? A: DO NOT send us samples. Send us photos. Q: Do you give technical help. A: No because of possible liability. We will provide product information and general problem information. A: We normally ship USPS Priority. Other options are available online. Q: I placed an order and would like to check the order details. A: You do not need to register to order on our site, but do if you want to check your order online. You check your orders done AFTER creating an account by logging in. Orders made BEFORE creating an account are NOT listed. When an order is shipped we add tracking # and send Completed Order Notification. This is later in the day after they completed order and shipped. Q: I have a question on who to talk to on my order for customer service. A: Questions or disputes made by a customer must be done by email. This way we can consider your position on the issue and respond in a reasonable manner. Provide order number, a clear statement of facts and what you would like to be the result. We will then respond by Email with an answer and possible options if any. Q: I want some work done at our spa. Do you do that? A: We DO NOT and HAVE NEVER DONE ANY spa repair services. There are companies with the "Quality Spa Parts" in their name. These companies have no affiliation with us or recommended by us. Q: When will this ship? A: If ordered before 2 PM PST, 5 PM EST it will normally ship the same business day. We ONLY ship to Credit Card Holder Billing Address. A: No. Retail Only. Company or Consumer. Q: Do you ship to Canada. Q: Do you sell spas? A: No. Only replacement parts. Q: What spa company do you sell parts for? A: None and all. We sell replacement parts for most of the spa brands. Since almost all spa companies assemble spas using generic parts. We offer those. Q: Do you take returns if the item I order is wrong. A: On almost all orders. Yes, but refer to terms and conditions for details. Q: I need to return / Exchange an order. What do I do? A: Email us at QSPRMA@Gmail.com with Order #, List of items and reason. DO NOT just return the order. It will be refused and returned to you. Q: Can you cross reference my spa brand and model? A: No. We need the information on the part itself. Q: If I send photos will you help me ID the right replacement parts? A: Yes. We find this the fastest way for us to help you. Q: Can I send you sample parts that I need. A: No. We prefer you just send photos. Q: Where do I send Photos? Q: Do you keep Credit Card information on file? A: No. We do not keep it on any of our computers or other files. Q: I bought from Hotubparts.com but my bill says Quality Spa Parts? A: Quality Spa Parts is the owner of HoTubParts.com. Q: Is your site secure and safe to order on? A: Yes. We use the latest SSL encryption for checkout. Q: How do you process my payment? 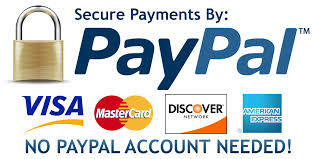 A: We use PayPal to process all our payments. They are very secure and trusted. We can not see or have access to your card information. Q: Can I call after hours and get parts to help? A: Yes, but when the office is closed the team member is doing this on their time. Q: Do you take checks or COD?